Given by Steve Mansfield from the Adelaide Golden Grove meeting, you might be surprised to hear that there is much that ex-Christadelphians can agree with in his talk. And of course there is a lot that we think is plain nonsense as well! He starts by talking about science and how it is concerned only with what can be observed – it has no place for supernatural explanations. Spot on there, Steve! He then goes on to explain that scientists don’t accept theistic evolution on that basis. For the vast majority of scientists this is true. But then he suggest that, like scientists, many Christians also don’t accept theistic evolution – obviously for different reasons. Err…that is a little misleading Mr Mansfield! Whilst a few don’t accept evolution, the vast majority of people who identify as Christian accept that evolution is a scientific fact, but also choose to hold on to their belief in God and are therefore by definition theistic evolutionists. I’m sure that Steve Mansfield would argue that those people are not TRUE Christians, but that would be to employ the no true Scotsman fallacy. John wrote about a while ago. That was 50 years ago, and science has moved on – more evidence is found every year and the jigsaw puzzle that is the story of human evolution has had many more pieces added to it. Lovelock was disfellowshipped, but the questions that he raised have not gone away. Steve Mansfield makes much of having a “simple faith” that interprets the bible according to a “natural reading” – meaning reading the bible as though everything in it is literally true. He contrasts the changing understanding of science (as though scientific progress is a bad thing!) with the bible, which he claims hasn’t changed for 3600 years – at least the “books of Moses”, with the whole being unchanged for 2000 years. He’s utterly wrong there of course, he shows typical Christadelphian ignorance of the history the composition and redaction of the biblical books and of the development of the canon, and a hopeless naivety in imagining that “The Bible” is a coherent whole not an arbitrary collection of ancient texts selected from many that could have been included. He forgets, or perhaps doesn't know, that the canon varies according to which Christian tradition you belong to. But there’s really no excuse for such ignorance in the modern world – you no longer need to attend theological college to find this stuff out, it’s all there on the internet for anyone to read! He probably spends the majority of his talk going through the various biblical quotes and showing that there is no way his “simple reading” of the account can be reconciled with theistic evolution – or at least the theistic evolution of Ralph Lovelock. He’s right! The scientific explanation of the world really cannot be reconciled with the bible account. But that is because books of the bible were written, not by any god, but by pre-scientific scribes whose understanding of nature was primitive. Priests and scribes drew from oral tradition, and the stories of the Babylonians amongst whom they lived to create a narrative to try to explain how things came to be the way they are. They didn't experiment, investigate and use reason to arrive at plausible explanations of natural phenomena, they simply used tradition and imagination to come up with the stories. As Steve Mansfield implies, the choice is simple: you either have a naïve belief in the speculations of 6th century BCE scribes or you accept the scientific explanation of the way the world is. You cannot reasonably reconcile the two. Ken Gilmore and the Christadelphians who are trying to get the community to accept that evolution happened will never be able to get people like Steve Mansfield to see reason. They have greater faith in the speculation of ancient scribes than they do in the reasoned findings of the accumulated scientific knowledge of humankind. They are happy in their delusion and as John often says, there is little point on wasting time trying to reach them. 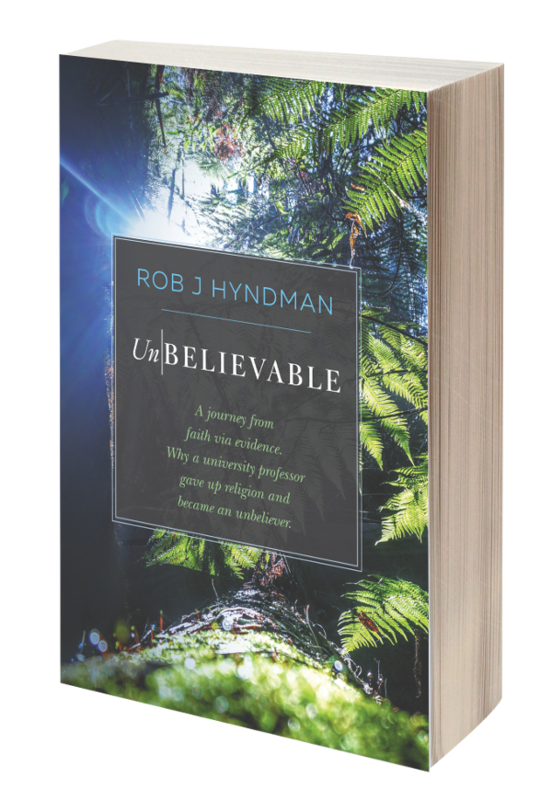 But for those who are not yet trapped in the delusions of faith – young people brought up and exposed over their formative years to Christadelphian teaching, we recommend to you that you find out as much as you can about the bible and about evolution – don’t believe what the Christadelphians tell you, don't even believe what you read here, but find out for yourselves. Find out about the real history of how the bible was written. Find out about it's contradictions, errors and forgeries. Find out about the vast evidence for evolution from virtually every branch of science. Then make up your own mind about which is the real certainty!